Essential fatty acids are a very popular product with our customers. We get a lot of people asking about them, particularly during the winter as many people are looking for a combination of essential fats and vitamin D to help support their mood during the darker months. Essential fatty acids are so called because our bodies can’t make them naturally so it’s essential that we get them from our diet. There are two different types: omega-3 and omega-6 and we distinguish between them by the shape of the molecules, but they have different effects in the body. It’s very easy to eat a lot of omega-6 because of the nature of the Western diet and it tends to be harder to get a sufficient intake of omega-3. Omega-6 is found in red meat, saturated fats and processed foods whereas sources of omega-3 include cold water fish like sardines, mackerel and salmon as well as algae and nuts and seeds. One way of looking at omega-3 and omega-6 is like families of fats. In the omega-3 family you have the parent fat, alpha-linolenic acid (ALA), which is converted in the body to SDA, ETA, EPA and DHA; whilst in the omega-6 family you have linoleic acid (LA) which can be metabolised, first to GLA, and subsequently to DGLA and AA. EPA and DHA are known to play an important role in cardiovascular, joint and brain health. Studies have demonstrated their impact on blood triglycerides, blood pressure, joint mobility and mood. Omega-3, on the whole, reduces inflammation in the body whereas omega-6 tends to increase it. So if you are eating a diet high in omega-6 then this is likely to lead to a more inflammatory state and all the conditions that end in ‘itis’, such as arthritis, cellulitis, dermatitis and so on. By eating more omega-3s in our diet or through supplementation we can help to address that imbalance and reduce inflammation in the body. If a customer was asking for advice on supplementation, I would first ask about their diet, to find out whether they are vegetarian or vegan, whether they eat fish and how often they eat it. I would then ask about any health conditions and whether they require it for maintaining general health or whether they require a therapeutic dose. If it’s for general health then I would recommend a regular strength omega-3 but if they have a specific health condition then I would recommend a higher strength product. Different formats are available too – you can get your essential fatty acids in supplement form that you take once a day, or you can get them in liquid form, which can be added to salads or smoothies. I always recommend checking the back of any products to find out the ratios of EPA and DHA as these can vary from one product to another. 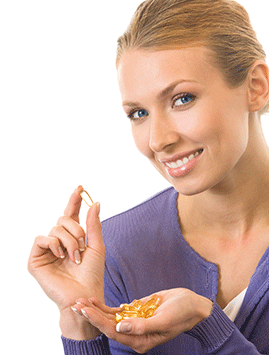 The ratio between EPA and DHA is important depending on what you want out of the product. Pregnant and breast-feeding women, for example, are advised to take a higher dose of DHA as this is crucial for foetal brain and eye development, whereas most adults would go for an EPA-rich supplement. If you need any help in choosing the right supplement for you, make sure you ask at your local independent health food store as we’re always happy to help and offer advice. Revital Victoria is based at 99 Wilton Road, Victoria, London, SW1V 1DT. The store has been established since 1993 and moved premises just over a year ago. It is open seven days a week and stocks a wide range of vitamins, minerals and supplements, sports nutrition, health foods, whole foods, products for those on restricted diets, plus an extensive natural and organic beauty section. To contact the store, call 020 7976 6615 or visit the website at www.revital.com. 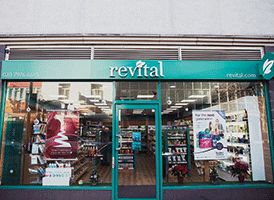 Follow Revital on Twitter: @RevitalLTD and Facebook: /revitalltd.